﻿ Fonda Sanchez, Granada | FROM $31 - SAVE ON AGODA! Have a question for Fonda Sanchez? 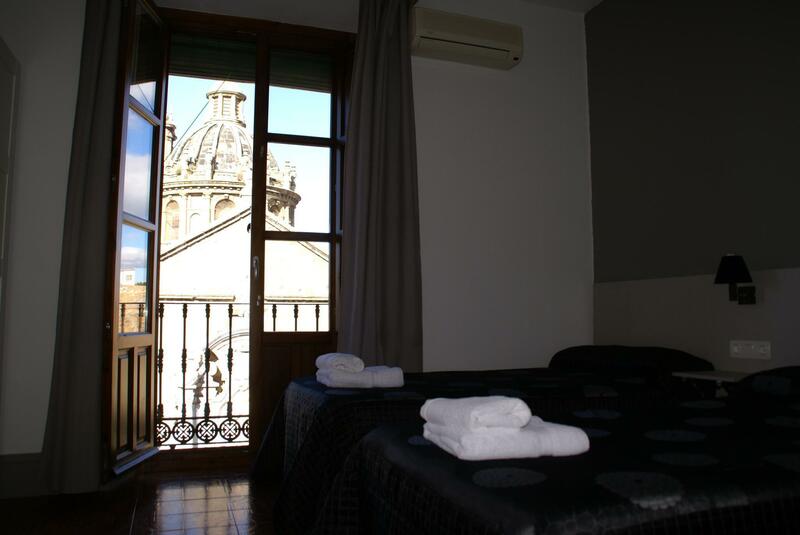 Ideal for fun and relaxation, Fonda Sanchez is located in the city center of Granada. The hotel is just 0.3km away from the city center, and it normally takes about 25 minutes to reach the airport. Also within easy reach are Plaza de la Trinidad, San Jerónimo Monastery, and Granada Cathedral. At Fonda Sanchez, the excellent service and superior facilities make for an unforgettable stay. For the comfort and convenience of guests, the hotel offers free Wi-Fi in all rooms, luggage storage, Wi-Fi in public areas, a car park, and room service. Fonda Sanchez is home to 18 bedrooms. All are tastefully furnished and many even provide such comforts as Internet access, air conditioning, and heating. The hotel's host of recreational offerings ensures you have plenty to do during your stay. 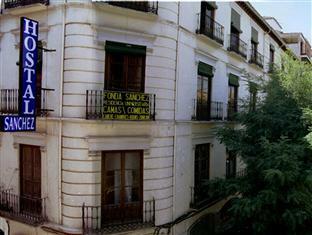 Whatever your purpose of visit, Fonda Sanchez is an excellent choice for your stay in Granada. The building was charming, clean, and quiet, but the outside street noise was loud at night which interfered with sleep even if windows were closed. Close to most of historical sites, and 950meters to Railway station. Very good stay with kind people. I liked the rooms very much. The situation is very good in front of the cathedral, very near to the university. In general terms the hotel was ok, only thing is lack of an elevator and that maybe the accommodation was a tad expensive, but I think this is a Granada thing and not a hotel thing. The hostal manager lives on sight but after 14:00 is very hard to reach. Everything was smooth, there was no problems. However, the hotel does not have a lift and I had to carry 30kg luggage up 3 levels to get to my room. although staff can't speak English well, they do everything to ensure that my stay was comfortable. La habitación es muy limpia! 장점-직원 분 친절하십니다! 영어 잘하시고 맵 보여주면서 어디가 좋고 여기까진 몇 분 걸리고 뭐 그런 설명해주세요. 번화가라서 먹을 곳도 많고 시끌시끌합니다. 근처에 볼 게 많았어요. 타파스 거리라든지..이사벨? 이자벨? 광장이 도보로 5분~10분 정도. 공항버스 타기도 좋고 대성당도 가까워요! 5분? 알함브라가는 버스 정류장도 근처에 있고 교통 괜찮았습니다. 숙소 바로 앞에 작은 광장이랑 무슨 성당이 있었어요. 이름은 기억 안나는데 시간 남으면 가도 괜찮을 것 같아요. 헤어드라이기 달라면 빌려줍니다. 샤워부스에 문이 달려있어서 화장실 바닥이 물난리 나지 않아서 좋았어요. 단점-중앙난방식인지 뭔지 추우면 히터 틀어준다고 해서 얼어 죽는 줄 알았어요....그리고 숙소 주위는 젊은 이의 거리 같은 곳이에요. 마치 홍대? 술집 많고 밤에 젊은 사람들 많아요. 정말 시끄럽습니다. 새벽에 술마시고 미친 사람들이 개 짖는 소리 내면서 놀더라구요. 진짜 개된 건지 뭔지...저는 밤 늦게 자는 편이라 그런 미친 짓들을 구경할수 있었지만 원래는 잠귀가 어두운편이라 잠들었다면 그다지 불편함을 느끼진 않았을 거 같아요. 예민하신분들에겐 여기 비추합니다! 숙소 자체도 젊은 사람들이 정말 많아요. 떼거지로 온건지 여기서 친해진건지 우루루 다니더라구요. 그리고 그다지 청결해 보이진 않았어요. 뭔가가 나오지는 않았지만 나올 것 같은 느낌...그리고 방이랑 화장실 좁습니다! 28인치 캐리어 두개 다 못펴요! 화장실은...공사를 잘못한거 같은데 바닥이 좀 위로 올라와있어서 화장실 문 닫을 때마다 끼긱 끼긱 거려서 거슬렸네요. 위치만좋았다. 엘리베이터없고 노약자와 여성이라면 난감하다. 우린케리어옮기기 넘힘들었다. 직원도 친철하지 않았고 추천하고싶지않다.